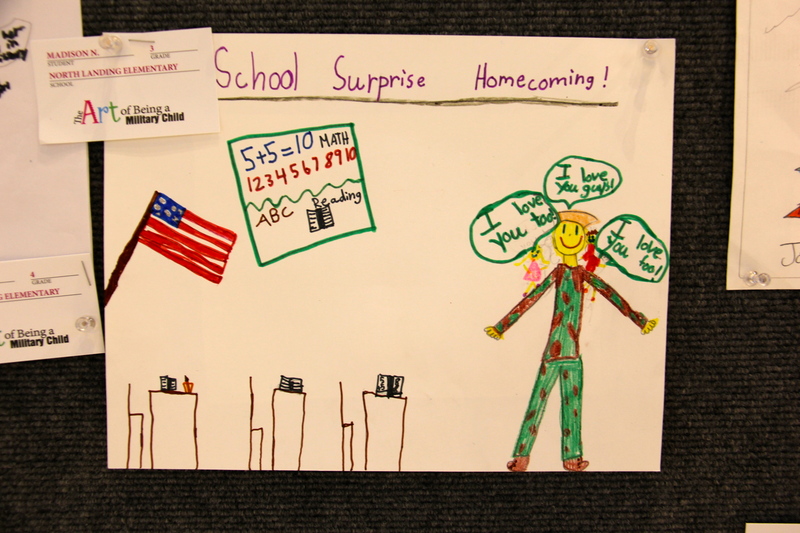 The joy of a military homecoming is the subject of Madison’s illustration. 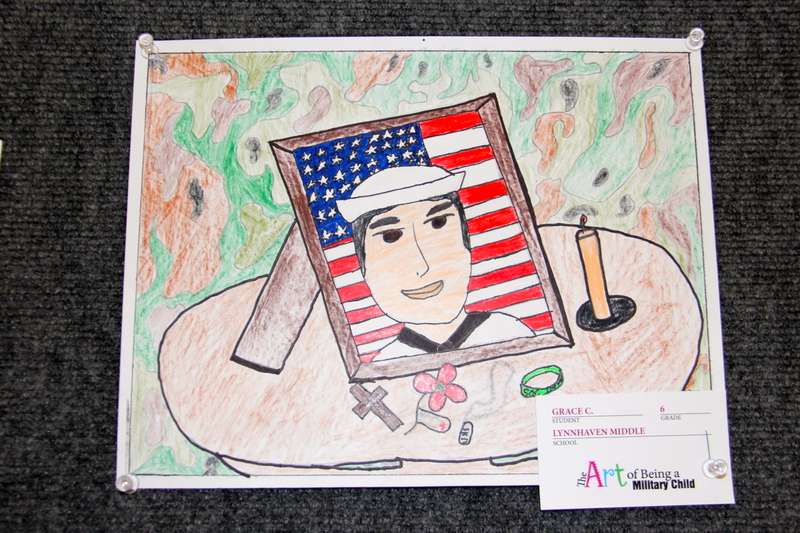 The two illustrations are among more than 700 pieces of student artwork in The Art of Being a Military Child exhibit at Lynnhaven Mall this month. 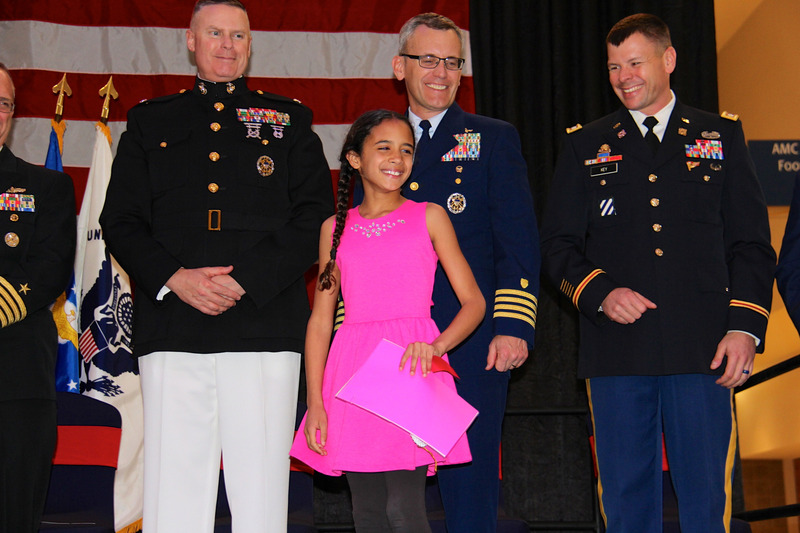 It is the fifth year Virginia Beach City Public Schools (VBCPS) has hosted the exhibit during the Month of the Military Child. 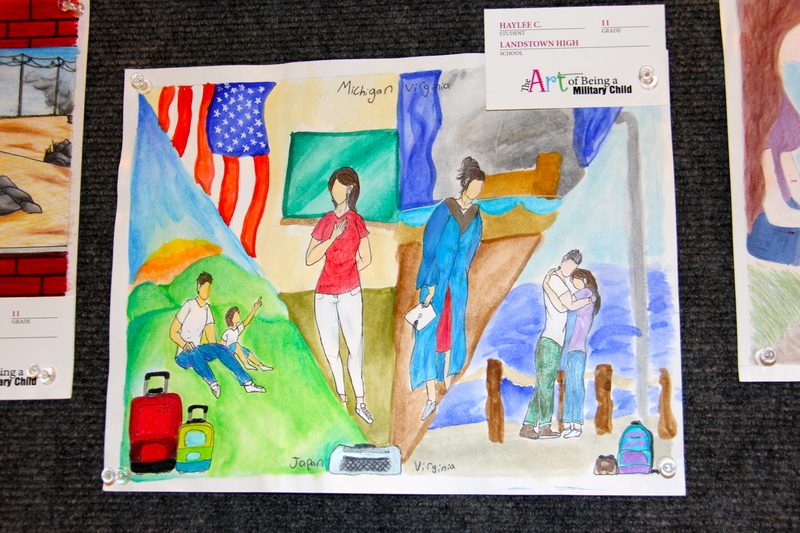 It is the culmination of an annual art contest open to all VBCPS students that the divison hosts in partnership with military school liaison officers at Joint Expeditionary Base Little Creek-Fort Story and Naval Air Station Oceana-Dam Neck. 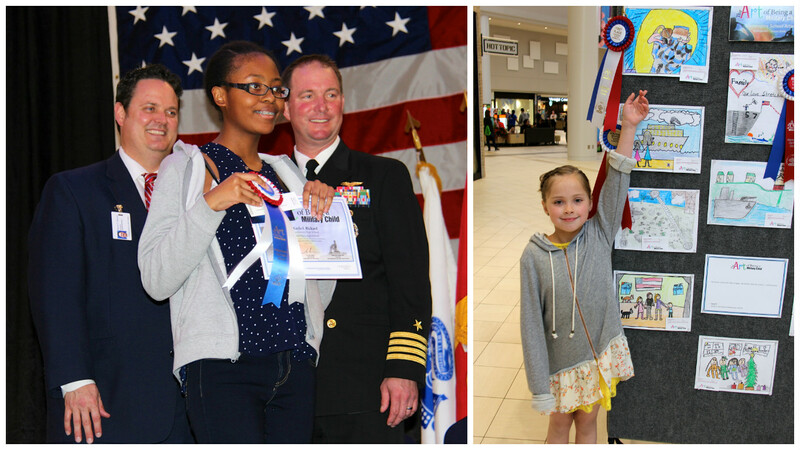 Student contest winners were recognized during the exhibit’s opening reception April 5 at Lynnhaven Mall which featured various guest speakers as well as entertainment by the U.S. Fleet Forces Band. “This year the exhibit features art from various elementary schools, all of our middle schools and two high schools. This is our largest contribution that we’ve had,” said Natalie Meiggs, VBCPS coordinator of military connected and academic support programs. Amanda Yoder, one of the division’s two military-connected school counselors, agreed that all students experience feelings related to the military experience. They see their classmates experience deployments and celebrate homecomings, and they are impacted by military moves and relocations of their friends. The multiple military-related relocations for one of Haylee’s friends is what inspired the Landstown High School student’s piece. Understanding and support as well as honor and sacrifice are themes art exhibit visitors will see. An illustration by Grace, a Lynnhaven Middle School sixth-grader, pays tribute to her father. She hopes it will encourage people to remember those servicemembers who do not come home. 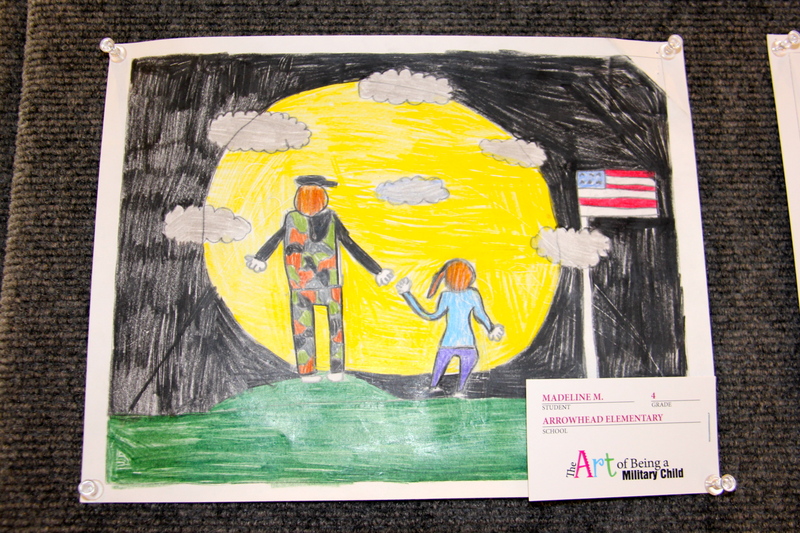 The public is invited to view The Art of the Military Child exhibit located near center court of Lynnhaven Mall through the end of April. More photos from the exhibit and the opening reception are posted on the VBSchools Facebook page.